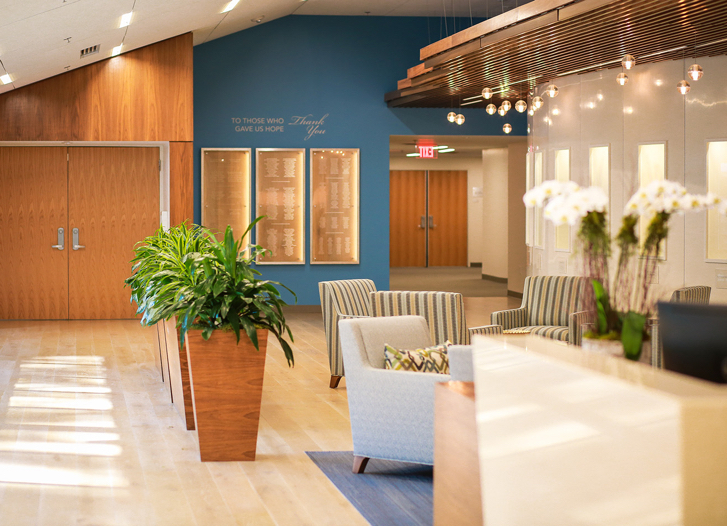 HopeWay strives to be seen as an educational leader and advocate in our community to increase understanding, awareness and acceptance of the diagnosis and treatment of mental illness. The following list is provided for our clients who may need additional services for continuum of care and/or for family members who need information and support. Charlotte Al-Anon. Al-Anon and Alateen help friends and families of alcoholics. Collegiate Recovery. Collegiate recovery is support for students in recovery from addiction seeking a degree in higher education. The Associate of Recovery in Higher Education is the only association exclusively representing collegiate recovery programs, communities, the faculty and staff who support them, and the students who represent them. ARHE provides the education, resources, and community connection needed to help change the trajectory of recovering student's lives. Davidson Lifeline started as a town initiative, led by citizens, to address a devastating number of suicides and attempted suicides. The community, in partnership with CHS, CMS, MHA and others, banned together to try to eliminate barriers to mental health services. They offer education, events, and resources. Employee Assistance Programs (EAPs) are an employer-sponsored service designed to assist employees with personal or family problems, including mental health, substance abuse, various addictions, marital problems, emotional problems, or financial or legal concerns. EAP services are usually made available to both the employee and their spouse, children, and non-marital partner living in the same household. This article, by the American Psychiatric Association, gives a good overview of EAPs. The Individuals with Disabilities Education Act (IDEA) is a law that ensures eligible children with disabilities have the intervention and services necessary to be successful. For students who are preparing to go off to college, this article on the U.S. Department of Education website may be helpful. Since 1933, Mental Health America of Central Carolinas (MHA) has been the voice of hope for persons affected by mental illness. Though the organization's name has changed over the years and coverage has widened to include Mecklenburg and Cabarrus Counties, our focus of advocacy and education has not altered. They have a mental health provider directory, workshops, and programs. The mission of NAMI–Charlotte is to protect the dignity of and improve the quality of life for individuals and their families living with the effects of severe and persistent mental health conditions through advocacy, education, and support. They have support groups, education, and a lot of resources such as a suggested reading list. PFLAG Charlotte, founded in 1987, is an official chapter of PFLAG National - a national organization of parents, families, friends and allies united with LGBTQ people to advance equality and to promote a world that is safe and inclusive for LGBTQ family members and friends. Promise Resource Network (PRN) was started in 2006 in Charlotte, NC as Mecklenburg's promise to embrace all people and create opportunities for wellness, healing, and transformation. PRN is a peer-run organization that employs people in recovery to partner with individuals, families, communities, and organizations to advance recovery from emotional distress, mental health and substance use challenges. The Social Security Administration (SSA) provides assistance to people with disabilities and the benefits they may be entitled to. Teen Health Connection is a healthcare practice that provides medical and mental health education services for adolescents ages 11 to 22. They are a medical home that offers comprehensive, integrated healthcare services delivered by a multidisciplinary team of adolescent specialists in a safe, family-centered environment. Have you, or someone you love, ever thought about suicide? Every year, more than 800,000 people die by suicide and up to 25 times as many make a suicide attempt. The National Institute of Mental Health Director is hosting a Facebook Live event on Suicide Prevention. Click HERE for more information. Suicide can affect all of us and we encourage you to educate yourself on the signs and symptoms of someone in need. Ask questions. Talk about it. Reach out and get help. October 10th was World Mental Health Day. This year, the theme was young people and mental health in a changing world. The US Department of Health and Human Services estimates that only 17% of the US population is functioning at optimal mental health. "How to Know When You Need a Mental Health Day"
"8 Signs You Need to Take a Mental-Health Day Right Now"
"World Mental Health Day: Lifestyle Changes to Boost Your Mood"
And although this article is a year old, the content is still very relevant. "World Mental Health Day 2017: Illness in the Workplace is More Common Than You Might Think"
It has been a very eventful year. And for many, very stressful. The American Psychological Association posted an article titled, "How to talk to children about difficult news." At the conclusion, there are additional resources that can help parents, teachers, and others who are working with children through a crisis. The Mighty recognizes 10 individuals who made an impact in the mental health community. "Help us Choose The Mighty's Mental Health Heroes of 2018". Or go directly to the form. Submissions close Dec 20th. "Beyond Awareness: Student-led Innovation in Campus Mental Health." This report showcases student-led programs that are filling gaps in traditional mental health services and supports on campuses across the country. "When College Students Feel Suicidal" - mental health professionals discuss the challenges that colleges face making the decision to send students home on a medical leave. "The Big Myth About Teenage Anxiety"
"Getting Honest About Mental Health in The World of Tech Startups"
"Mental Health Crisis for Grad Students"
"The Largest Health Disparity we don't Talk About"
"Kids' Suicide-Related Hospital Visits Rise Sharply"
"Americans Are A Lonely Lot, And Young People Bear The Heaviest Burden"
"Major depression on the rise among everyone, new data shows"
"The top 10 mental health apps"
"Depression & Anxiety: Millions of Teens Don't Get Help"
"Suicides in Teen Girls Hit 40-Year High." For more information about suicide statistics, click HERE. "Social Media, Social Life: Teens Reveal Their Experiences"
"Early Facebook and Google Employees Form Coalition to Fight What They Built"
"Kids at Risk: Too Much Time in Front of Screens?" "10 Reasons Why Today's Teenagers are so Anxious"
"Facebook rolls out AI to detect suicidal posts before they're reported". To see the Facebook Help Center, click HERE. "Lady Gaga opens up about mental health"
"Taraji Henson Launches Foundation to Raise Awareness for Mental Health Issues in the Black Community"
"Tyson Fury opens up on mental health struggles: 'I lost the urge to live'"
"Kate Spade New York Advocating for Mental Health Awareness in a Truly Impactful Way"
"Princess Kate launches mental health program for schools: 'My own commitment is to the youngest and most vulnerable'". Click HERE to go to the website. "Kevin Love discloses bouts with panic attacks and mental health: 'This is an everyone thing'". To read his letter, click HERE. "Mariah Carey Opens Up About Bipolar Disorder"
"Dwayne Johnson reveals battle with depression, mother's suicide attempt"
"'You do contemplate suicide' - Michael Phelps opens up about his battle with depression." And here is a recent article from the Charlotte Observer. "LeAnn Rimes opens up about how meditation changed her 'whole outlook on life'" For other 10% Happier podcasts with Dan Harris, click HERE.